Downtown businesses and attractions (around the square and off the square) will be bursting with things to do the second Saturday of every month. Check out the fun events happening for January 12! 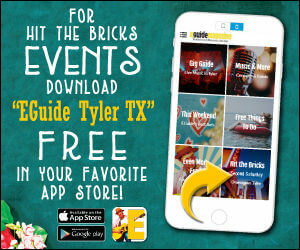 Interested in participating in Hit the Bricks: 2nd Saturday? Or contact Amber Rojas at arojas@tylertexas.com.